Zss Skincare Review 2018: Ingredients, Side Effects, Detailed Review And More. 1. What is Zss Skincare? ZSS Skincare is a nutrition-based skincare brand that is highly committed to deliver skincare that is “Driven by science, rooted in nature”. Products under this line are developed using Zeaxanthin, a powerful antioxidant, at the heart of its formulas. The brand is guided by a research scientist, an enterprising expert, and a beauty and personal care enthusiast, all of whom desire better skincare products. 2. Zss Skincare – Does it Really Work? 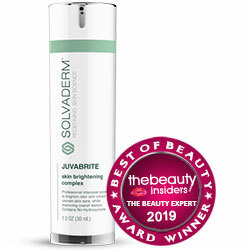 It protects your skin from further damage caused by environmental stressors. It helps correct damage on the skin matrix to prevent visible signs of skin aging from becoming apparent. It neutralizes free radicals to protect your skin cells from destruction and premature degradation. It gives you a revitalized, livelier, and brighter overall complexion that makes your skin healthier and appear more youthful. Green Tea: A powerful antioxidant that revitalizes and protects your skin. N-Acetyl-Cysteine: An amino acid that facilitates liver detox and promotes higher levels of glutathione production, both of which lighten your skin. Maritime Pine Bark Extract: Improves skin tone by relieving skin of redness and other signs of inflammation. Fish Oil: Soothes skin and promotes faster skin repair. Chlorella Extract: Improves inflammation and improves local circulation. ZSS Skincare requires the daily combination of taking the ZSS Nutri-Serum, and ZSS Supplement Capsule Packet. Combined with healthy food that promotes great looking skin, this regimen, when regularly and consistently followed, results to healthier, more youthful skin. All ZSS products are made only of food grade, naturally derived ingredients. All ZSS products do not contain parabens and other hormone disruptors, and carcinogens, including PEGs. ZSS Skincare offers a combination of beauty solutions that work on your skin’s health and beautiful appearance, inside and out. Products under this skincare line are developed with a strong R&D upbringing and background which helps establish product efficacy and safety. This product line appears to have a limited distribution network and may not be available in all territories. There are limited user and expert reviews about this skincare brand and its specific products, making it more difficult to gauge how products from this brand have worked for other people. Packs are on the pricier side. There are no clinical trials presented that helps establish product efficacy. 7. Does Zss Skincare Have Any Side-Effects? The manufacturer does not report any potential side effects except for possible skin irritations. In which case, you should immediately stop product use. ZSS Skincare offers an innovative oral and topical product combination geared towards a more natural skincare program that responds to your specific skin goals. There are, however, other alternatives available. What is the Price of Zss Skincare? Where to buy Zss Skincare? ZSS products may only be purchased via the official brand website. Does the Zss Skincare come with money back guarantee? All ZSS products come with a 60-day money back guarantee, which qualifies you for a full refund on your purchase in case you are not fully satisfied. Is Zss Skincare approved by the FDA? Products like this are considered cosmetics, in the case of topical products sold under the brand, and supplements, considering the capsule supplement packet. Such products do not require FDA approval. Who Should Use Zss Skincare? This skincare brand suits a particular lifestyle that is aligned to preferring more of the natural and less of the synthetic or artificial stuff which modern living is often laden with. If your personal preference is in line with the brand philosophy then, you should check out how you can use this product. Should I use the Zss Skincare once or twice daily? All supplementation products are recommended for daily, once a day, intake. 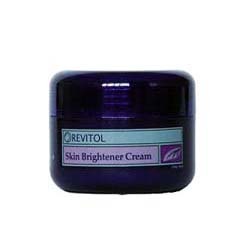 Topically applied products are recommended for twice daily application, once for daytime and another for nighttime use. How long does one bottle of Zss Skincare last? Each set of supplements and topical product will last you for 30 days. How long will results last? Results are only achieved and maintained when product use is continuous. Discontinuing the routine also stops manifesting improvements on your skin. Can I use the Zss Skincare with makeup? Yes, simply allow the topical products to sink deep into your skin and become fully absorbed before layering with your makeup products.